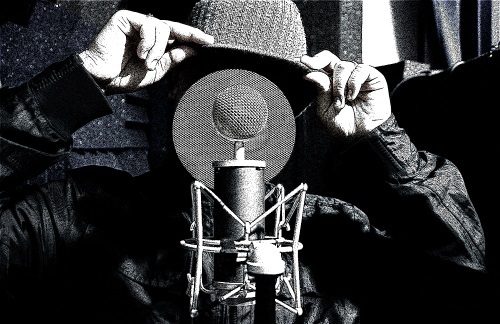 Background vocals requires a different technique than solo vocals for both recording and production in order to get the best result. Recording background vocals is a distinctly different process from recording solo vocals because of how they will eventually fit in the mix. That requires a different technique for both recording and production in order to get the best result. Here are 11 background vocal-related points lifted from the 4th edition of my Recording Engineer’s Handbook that can help you take those background vocals to the next level. 1. Since background vocals are invariably stacked, layered, or at the very least doubled, try the following to make them bigger and having a greater sense of space. For every subsequent overdub after the first recording, have the singers take a step backward, but increase the mic preamp gain so that the channel’s level is equal to the first layer. In essence, you want to “fill up the meters” so the level on the meter is the same regardless of where the singers stand. 2. If the singers have trouble blending or singing in tune, ask them to remove one side of the headphones or at least put it slightly back on the ear. Sometimes this helps them sing in tune, since they can then hear the blend acoustically. 3. The best background blends usually come from having multiple singers positioned around a single mic or stereo pair. 4. Large-diaphragm cardioid condensers are usually used because they combine a proximity effect and a slight midrange scoop along with a slight lift in the upper frequency ranges. This accentuates the “air” portion of the sound, which helps the background vocals sit better in the mix. 5. The microphone does not always have to be a large-diaphragm condenser. Sometimes the natural compression of both volume and transients offered by a dynamic mic will keep the vocal much more under control than a condenser would. 6. The better the lead vocalist is, usually the harder it is for her to do background vocals with other people because the voice is recognizable. 7. If the lead singer is singing the background parts or is part of the background vocal ensemble, try not to use the same mic on which the lead vocals were recorded. This will cause a buildup of any peaks in the singer’s voice, the mic, or the room. 8. Always try to do something a little different on each background vocal track. A different mic, mic preamp, room, singer, or distance from the mic will all help to make the sound bigger. 9. A trick to help things blend better is to record the background vocals and then play them back through the studio monitors and record the playback. The distance of the mic placement depends upon the sound of the room. Walk around and find the place where the playback sounds the best, and then place the mic there. Record and mix this in low underneath the original background vocal tracks. 10. For a performance where the singers will sing a three-part harmony, use a cardioid pattern with three people on the mic. On the first pass, one person is on-axis and the other two are off-axis by 90 degrees (facing each other). On the next pass, have one of the off-axis singers trade places with the on-axis singer. Do a third track the same way until all three singers have been recorded on an on-axis track and all three notes are on-axis. If it’s only a two-note harmony, then double each note using the same method. 11. Another variation of the above technique is to have all three people sing the same note at the same time using the same mic technique; then proceed as above. Perhaps the best point of all is to choose your background vocalists wisely, since it’s a skill that all vocalists, regardless of their talent, have. You can read more from The Recording Engineer’s Handbook and my other books on the excerpt section of bobbyowsinski.com. From a non engineering technical perspective, the distinguishing aspect of backing vocals would be the tone of voice used. Difficult to explain. If the lead singer uses a hard tone, the backing singer should complement with softness and vice versa.